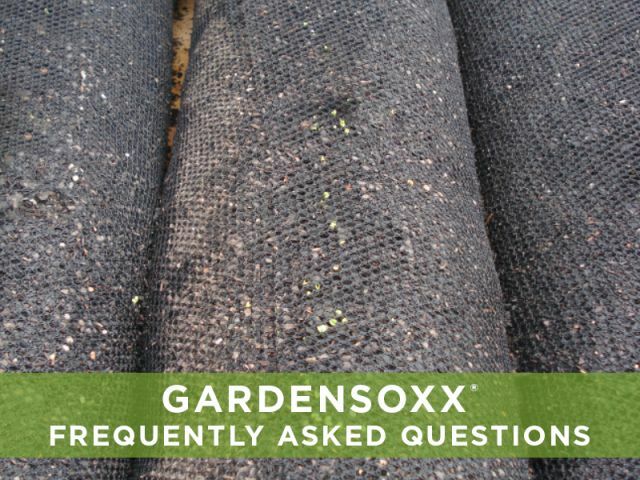 GardenSoxx® is an innovative gardening system that combines our patented mesh technology with high-quality growing media. The mesh provides optimum drainage, aeration, and temperature to grow a healthier root system, and a more productive garden. Excess water can drain through the mesh while essential oxygen flows in. The additional air flow also helps to cool the root zone in hot weather, improving growth. GardenSoxx are available both unfilled and pre-filled. Unfilled GardenSoxx can easily be filled with local bagged/bulk compost, or bagged/bulk planting mix. We recommend using a composted media. 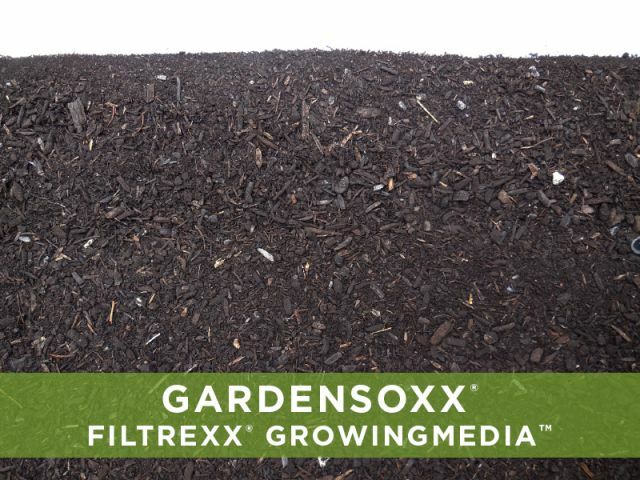 Pre-filled GardenSoxx use a locally-sourced composted Filtrexx® GrowingMedia™ made from recycled green waste. Our GrowingMedia is made from 100% composted green waste. Compost is an extremely nutrient-rich media that acts like a natural sponge to absorb a huge volume of water as compared to topsoil. GardenSoxx provide ideal growing conditions for plants, but don't just take our word for it. 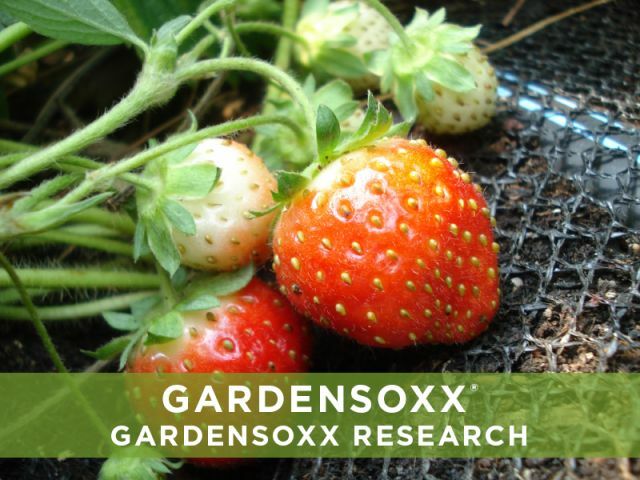 Several studies have been conducted on the benefits of growing with GardenSoxx. 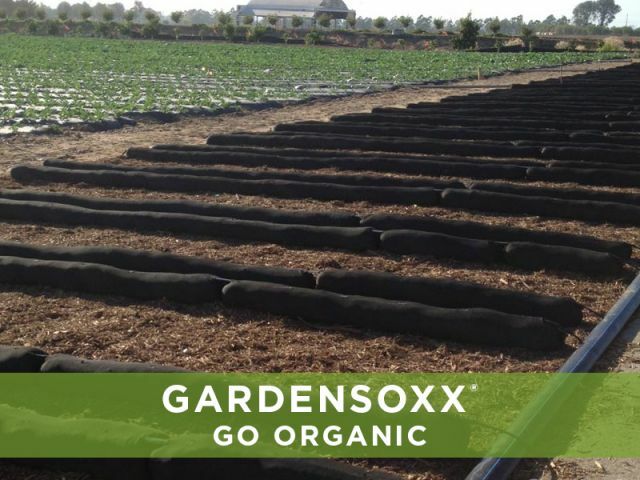 GardenSoxx use a homogenous, organic compost media making it easier to go organic in commercial growing applications. View our guide on going organic with GardenSoxx. Learn more about GardenSoxx and common questions about the progressive garden container system. Filtrexx® GrowingMedia™ provides exceptional growing conditions for plants. Our media is engineered to suppress disease, retain moisture and provide a steady supply of nutrients. The success of plants starts at the roots. 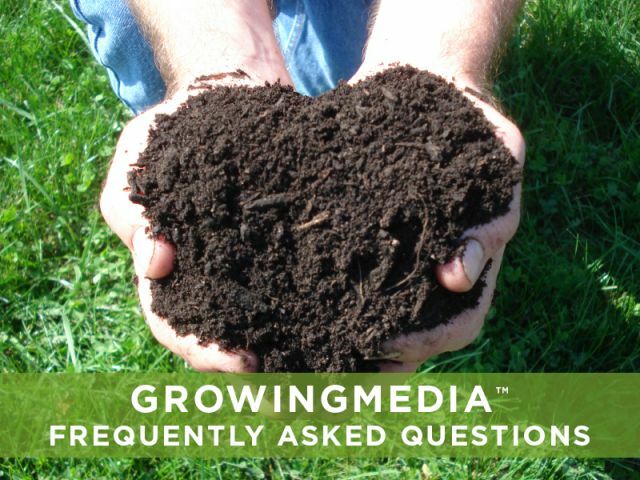 Learn more about our Filtrexx® GrowingMedia™ and common questions on growing in compost. 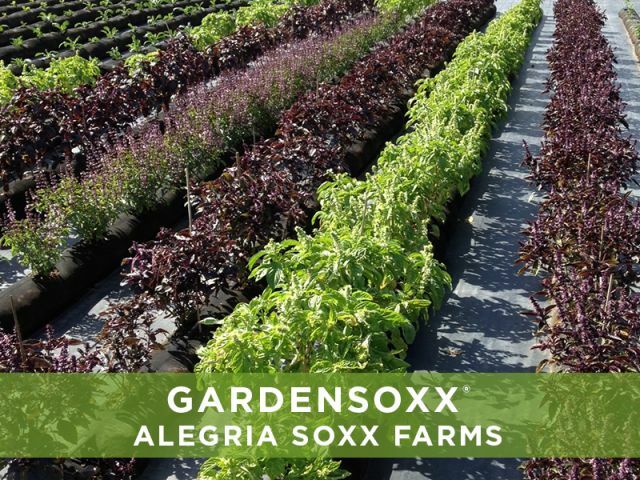 Alegría Farms is a high-performance urban farm company, located in Irvine, CA, that incorporates GardenSoxx in their growing space.